We’re up with a new challenge for the next couple of weeks at The Cat’s Pajamas! It’s an easy one that anyone can jump in on....Anything Goes. That means you can just put your little imagination to work and create whatever piques your fancy! Our son had a birthday party for a friend to go to, so I pulled out this fun set from TCP - The Puck Stops Here. I picked our NHL team colours and put some colour to the page with Copics. I chose a really clean layout, adding some of the Copic blues to the strips in the patterned paper to give it an ombre effect. So cute! The twine and button finish it off, but still make it ok for a boy. Here’s the Copics I used below. Each project enters you for a chance to win some Cat Cash up to $15. Cards and projects are not required to use a Cat’s Pajamas Stamp or CutUps die but if you do the Cat Cash amount increases. We hope you can join us! 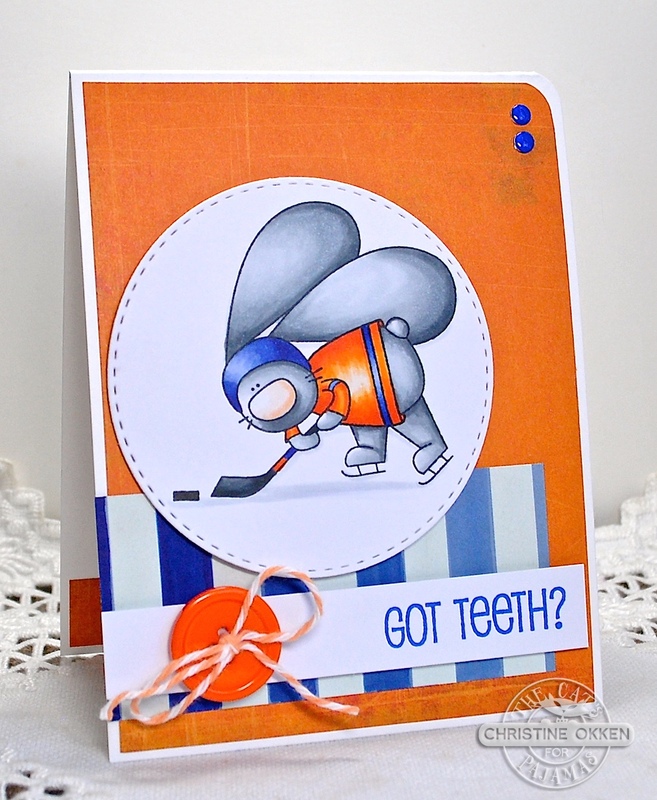 That hockey bunny is soooo adorable. Love yr Copic work as well, especially the graduating blue stripes. 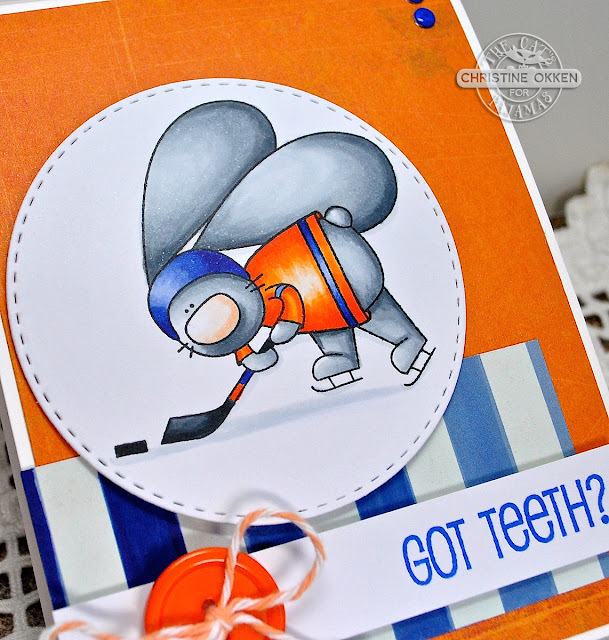 Great boys' card... although I guess it could be a girl hockey player too? Oh, oh, shield the teeth! so cute, love the coloring, and that sentiment is so fun with it!! So cute! Definitely a unisex card. Happy New Year! Wow! Bright, simple, cute, clever with the stripes. Love it all!